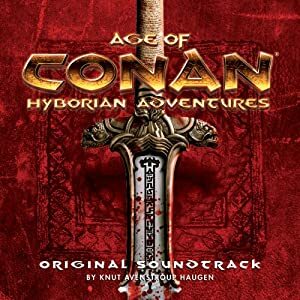 This is a GREAT soundtrack for gaming! Here’s some notes I took on it a while back, it covers at least half the songs. “The Dreaming”, “Nighttime Journey”, and “The Lure of Atali”-female vocals, and kind of a dramatic and mystical feel. “Sands of Forgetfulness” and “Damp Barachan Nights”- quiet pieces that seem to represent a stillness. Maybe good for nights around the camp fire or a town when there is a lull in activity. “The Awakening”- heavy percussion and doomy chanting. Not the kind of music the player’s want to hear, well maybe the fighter! “The Arrival”- Good travel music. “Phalanx of Conquest”- A dramatic militaristic piece. “Fields of the Dead”- Creepy strings open up for a female voice over a mystical feel. “Echoes of Atlantis”- an ambient and magical piece, gets heavier at the end. “Hamlets of Aquilonia”- Town/village music if I’ve ever heard it. “Foundations of the Temple” A “heavenly” choir over calm music. Temple. “Akhet”, “Beyond the Pyramid”, “Purple Lotus Swamp”- Very Middle Eastern sounding. “City of Mages”- Creepy flutes and a Middle Eastern feel. “The Dreaming Anew”- Female vocals over a darker string piece.